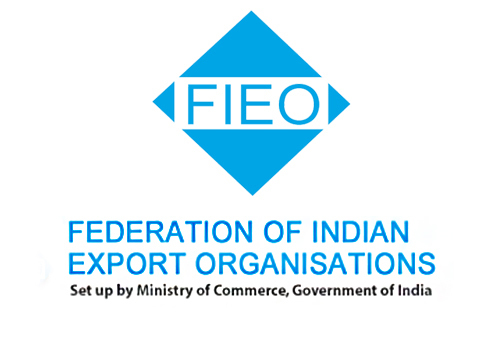 The apex exporters lobby Federation of Indian Export Organisations (Fieo) has written to the Reserve Bank and finance ministry seeking lifting the blanket ban on letter of undertakings (LoUs) saying it will further hurt exports by making them more uncompetitive. The Fieo, promoted by the Commerce Ministry and industry, has written to Reserve Bank Governor Urjit Patel and finance ministry seeking reintroduction of the crucial trade finance instruments, but feels that the government will have to take the lead to end the stalemate, a top Fieo official has said. "The LoUs were in operation for many years, so at the drop of a hat you cannot abolish such instruments...look at the utility of it. Such instruments are used globally, why deprive our exporters or importers of it?" Fieo director general Ajay Sahay told PTI. Admitting that the lobby has so far underplayed the impact of the mid-March move by the RBI, Sahay said earlier Fieo felt that only the gems & jewellery sector used the instrument, but it has later transpired that others, including the employment-intensive textiles and leather industry, are also using LoUs. When asked if the ban will impact exports, he said, "absolutely" and adding while the gems & jewellery sector will be the worst impacted, others will also be hit. He pointed out that gems & jewellery exports have contracted by a massive 36 per cent following the regulatory actions, which employs 5 million. He explained that the alternatives for LoUs like bank guarantees increase the cost by 1-3 per cent, hence making exports uncompetitive globally. Sahay said the ban has also wrecked the planning of exporters who face the spectre of banks cancelling LoUs. He further said the association has taken up the same with the commerce ministry. "That is putting a lot of pressure on exporters. We have taken it up with the commerce ministry. The commerce secretary is working with the finance ministry," he said. On writing to the RBI and finance ministry seeking reintroduction of LoUs, Sahay feels that government will have to come out with "clear direction" in the matter. The LoUs were banned following the discovery of the over Rs 13,000-crore Nirav Modi scam, the biggest fraud in domestic banking history early February. The instrument was allegedly misused by Modi and his henchmen in connivance with officials of state-run Punjab National Bank's at the Brady House branch in south Mumbai between 2011 and 2017. "The kind of mess which has happened is not possible with normal importers-exporters. Who will give you that kind of LoU without any margin money or without any safeguards? Why are we talking about an exceptional situation and applying it across the sector?" Sahay asked. Sahay said even as the country struggles to create jobs, such developments have led to a huge question mark over job retention. "What will you do with these workers? Our biggest problem today is jobs. We should not talk about creation, we should talk about job retention. This is a huge challenge," he said. He also expressed concern over the contraction in exports in employment-intensive sectors, stressing that the 9.8 percentage growth in exports to USD 302 billion looks good only on "the face of it". "We should do some introspection. In the labour intensive sectors, we are losing out our competitiveness. Bangladesh, Vietnam and even Myanmar may be taking the lead in apparel exports," he said. There is a major need to work on skilling to push our exports and labour law changes are also required, said Sahay.